With modern technology and countless orthodontic advances, traditional metal braces are more comfortable and affordable than ever before. As a leading orthodontic practice, we offer a wide variety of orthodontic treatments to cater the vast needs and desires of our many patients. 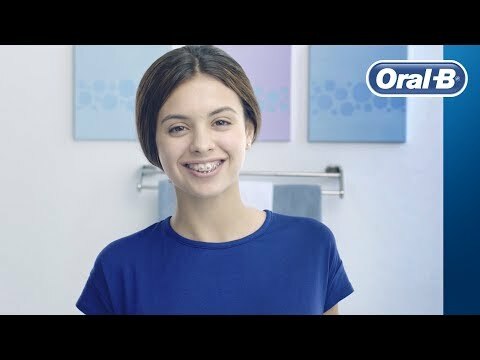 Conventional braces offer unique customizations that aren't possible with clear aligners like Invisalign and ClearCorrect. Many of our patients prefer metal braces because it allows them to show off their personality by choosing different colored elastic bands. This is especially a fun feature for young adults and teens who are attending their favorite sports games because they can express their team spirit. Kentucky Orthodontics & Invisalign boasts over half a dozen locations throughout Northeast Kentucky and we invite you to call us today to schedule a complimentary consultation. "Both of my children have seen Dr. Durbin and his staff for years. Both of them have perfect teeth, thanks to his professionalism. BEST place to go. Honest and reasonably priced. Have been to several of his locations and always treated well by the friendly staff." "ABSOLUTELY AMAZING! They let me go back for my daughters scans, explained to me step by step what was going on. Answered all my questions. Highly recommend. We have had nothing but a great experience so far with Dr.Durbin and his staff." "Great atmosphere....friendly staff and Denisa was awesome with my daughter!" Traditional metal braces are a great choice for both adults and children of all ages. Our conventional braces are made of high-grade stainless steel archwires and brackets that are strategically placed to create that stunning smile you desire. They are an ideal choice for patients with jaw alignment issues, crowded or gapped teeth, under- or over-bites, and protruding smiles. We also use top-quality elastics that don't easily break and are simple to apply. After your initial exam, a personalized treatment plan will be developed for your specific case. On the day of your appointment, your teeth will be properly prepped and cleaned prior to placing your metal braces. Once we have applied the bonding agent to your teeth, your metal brackets will be placed followed by your archwires. You will then be able to choose your desired elastic band color(s). The tiny bands ensure the security of the archwires to the metal brackets. Typically, the application process moves fairly quickly and patients often experience no pain. However, you can also expect to return to our office once a month for adjustments and progress exams. Metal braces can make cleaning and flossing your teeth more challenging. However, proper oral hygiene is essential to your orthodontic treatment. Before you leave our office after your braces are placed, our orthodontists will educate you on how to best clean your teeth and provide you with helpful tips. As a general rule, we recommend that you brush and floss your teeth after every meal. Keeping all your orthodontic appointments and regular dental cleanings will also help to ensure optimal results. Typically, most patients wear braces for 1 – 2 years, but your treatment time will ultimately depend on the severity of your case. After your treatment is over, we will remove the braces from your teeth and fit you for a retainer. A retainer will help keep your teeth in their new position, and our orthodontists will help you select the right retainer for your new smile. In recent years, there have been many advances in dental and orthodontic care for patients of all ages. However, traditional metal braces still remain one of our most popular treatments. Call for a free consultation today and we can schedule you an appointment at any of the following locations: Georgetown, Winchester, Owingsville, Nicholasville, Richmond, Louisville, Frankfort, Mount Sterling, or Lexington. Our Orthodontists Drs. 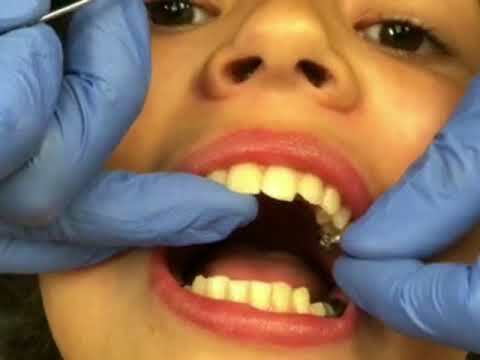 Douglas D. Durbin, Lauren D. Morris, and Thomas C. Garner can also tell you about our accelerating orthodontic treatments: AcceleDent Aura and VPro5. You may be able to solve many braces problems temporarily by yourself until you schedule a repair appointment with our office. These problems need not cause delay in your treatment. Any time that you feel that you are unable to handle any orthodontic problem comfortably, please call us—we are at your service. If the band or bracket is still attached to the wire, leave it in place. If it's uncomfortable, place orthodontic wax or sugarless gum on it. Sometimes you can remove the rubber tie with tweezers, allowing you to detach the bracket from the wire. Try to push the wire back into place using tweezers. If that is not possible, clip the wire with fingernail clippers or small wire cutters behind the last tooth to which it is securely fastened. If it's causing discomfort, place orthodontic wax or sugarless gum on it. There may be soreness for several days after each office visit. Carefully chew on sugarless gum after adjustments to minimize soreness. Use warm salt water rinses and/or Tylenol, or ibuprofen as needed.